It’s a new week, and a new entry in the FO parade. I’m gonna jump right into it! 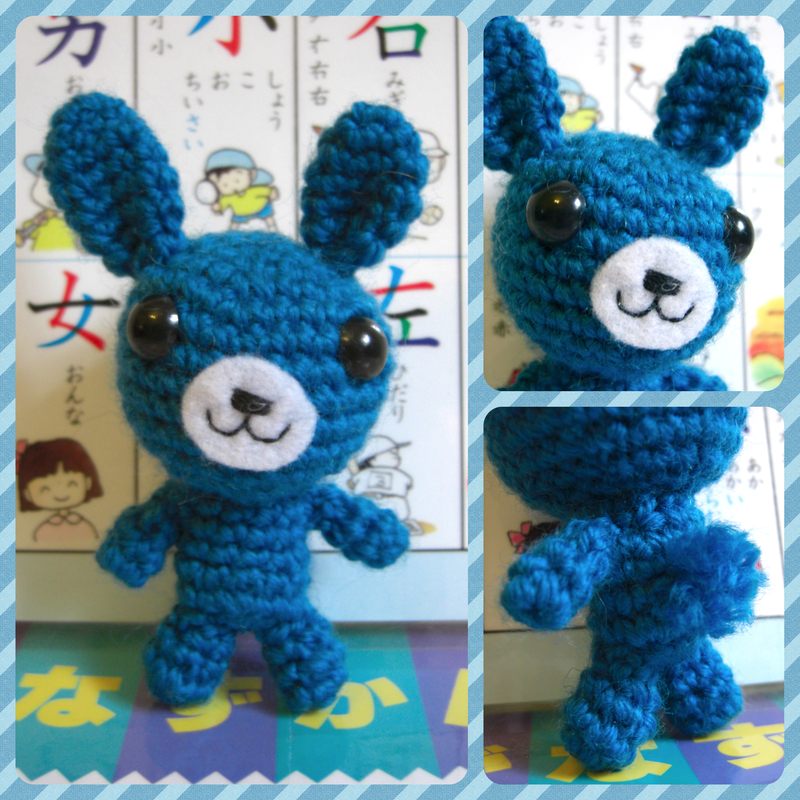 First up is this little blue bunny. He’s a wee little thing, and he looks rather kooky, but I like that. I’m not sure exactly what brand of yarn I used for him, but it was an 8 ply pure wool. 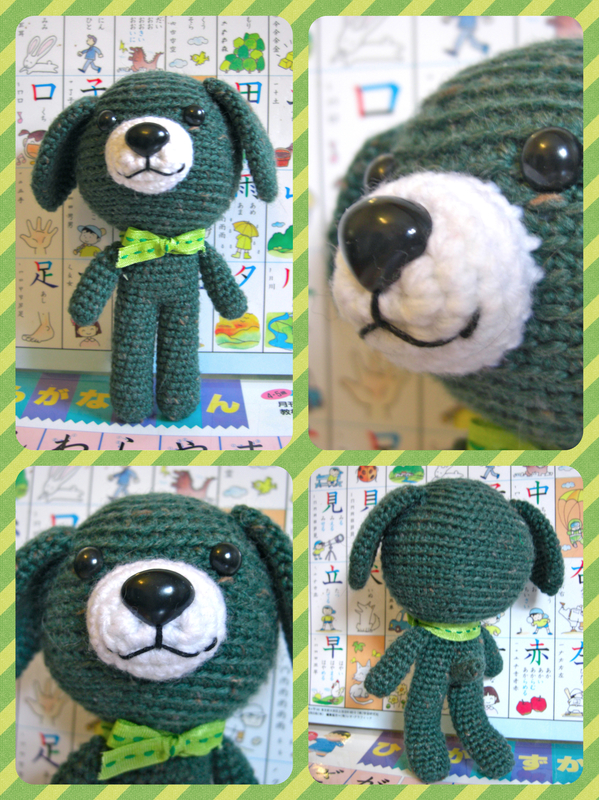 I’m quite pleased with how this dog turned out. I think he’s rather dapper! I haven’t made too many dogs or puppies before, but I think I’ll make some more, and perhaps try a version on all fours. He’s made out of Cleckheaton Country Naturals, which I really like working with and I like the extra bit of texture it has over regular Cleckheaton Country. Well, that’s all for today, it’s a short and sweet one, I’m afraid. How was your weekend? Did you have a good one? I hope so! They are great Raynor! The dog is particularly dapper and has a certain air about him. I bought 3 balls of Patons Eco Wool Chunky, which is pure wool and untreated. Have you ever used it? I only needed 2 balls for the beanie I knitted and I am thinking about using the remaining one to crochet some sort of little animal treasure. It’s lovely wool, and as you use it you can feel the lanolin coming out of it as your hands warm it. Feels lovely on bamboo knitting needles. Anyway, wonder how it would go for arigurumi? It’s very sturdy and not very stretchy, and I know I should put it to good use somehow. Yes that eco wool really is lovely, and surprisingly sturdy. Can’t wait to see what Mr. Raynor comes up with! It turned out great! I only had a few problems with it snapping when I was sewing up, but it only happened once. Super lovely yarn. The bear with the hat and the tie in the Loch craft festival post is the one I made with it. Your creations make me happy! I want one. I especially love the blue bunny. We’ll do a tradezies, yeah? ❤ Love your face! A few chewed plants are totes worth having some wallabies! So cute! I saw a few wallabies, hares and kangaroos when I went home to visit the folks. So lovely! I can’t wait to do some gardening, but I like to wait for the heat of summer to pass before I head outdoors. I think I like the dawg better… I like he face, he looks simple but sweet. The bunny looks rather cheeky, I think! You should! You and Reuben will be an unstoppable crochet force!